Tracy Pallas's career spans over 25 years of direct sales, channel sales, marketing and consulting experience. 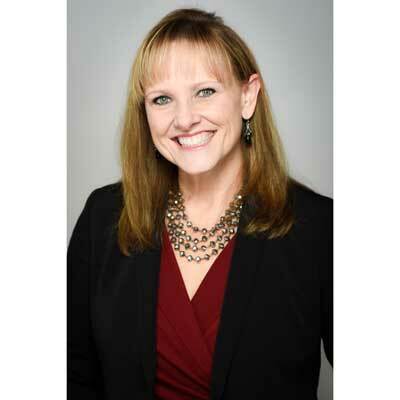 Previously named one of CRN Magazine's Top Women in Channels, her expertise lies in net-new channel revenue acceleration. Tracy joined Illusive Networks in November 2015 as VP Global Channel Sales and has been responsible for defining Illusive's indirect selling motion, launching a channel program, and onboarding an elite set of partners. Prior to joining Illusive, Tracy held leadership roles within Extreme Networks and Palo Alto Networks where she was responsible for optimizing, enabling and accelerating all routes-to- market across the Americas. At Palo Alto Networks the channel exceeded 65% growth annually with a 47% increase in partner- generated bookings. Tracy served as Director of the Cisco Borderless Networks Architecture Channel Team within the Americas and managed a $10.2B business around security, wireless, and infrastructure. In 2007 Tracy joined Cisco via the IronPort Systems acquisition where she served as Global Director of Worldwide Channels. Finally, her early career history included Counterpane Internet Security, Internet Security Systems, Andersen Consulting and ConAgra Foods. Tracy holds an MBA in International Marketing from Boston University as well as a Bachelor of Science in Marketing from Boston College. My team has focused on a small number of elite partners in the Americas, EMEA and APAC and builds quarterly business plans to align expectations. We have enhanced Opportunity Registration and launched partner incentive programs to achieve our 40% channel-initiated revenue goals. In 2017 we launched a formal MSSP Program, executed global partnerships with 2 of the largest system integrators, and created a sales playbook for consulting partners with IR capabilities. Finally, we have provided free NFR licenses and free self-paced training to all partners willing to establish annual business goals.. In 2018 Illusive will improve and mature our MSSP Program to meet increased demand from our partners globally. We also plan to increase alignment with Cisco as a strategic investor to access the customer base, drive joint-marketing, and PR. Finally, given the success of the channel last year, illusive has increased our target for channel-initiated revenue to 40% globally in 2018. On the wall of my office is this inspirational quote: "some succeed because they are destined, others succeed because they are determined". Misty Copeland, soloist in the American Ballet Theater, was not destined for success - but she overcame personal, cultural, and physical challenges because she was determined. Having been raised in a strict Catholic household, my parents reinforced two simple philosophies which I believe still hold true: (1) If it's worth doing, it's worth doing well, and (2) You can achieve anything if you put your mind to it. These and other bits of advice created a strong value system to which I still adhere - I would give me 16-year-old self exactly this same advice. Working in a small start-up we all wear many hats - as a result I tend to drive more channel marketing initiatives with partners here than I have in previous roles. As a result I would like to continue learning about current lead generation and events which drive the best demand and actionable outcomes for partners so that we continue to increase our ROI on marketing spend.